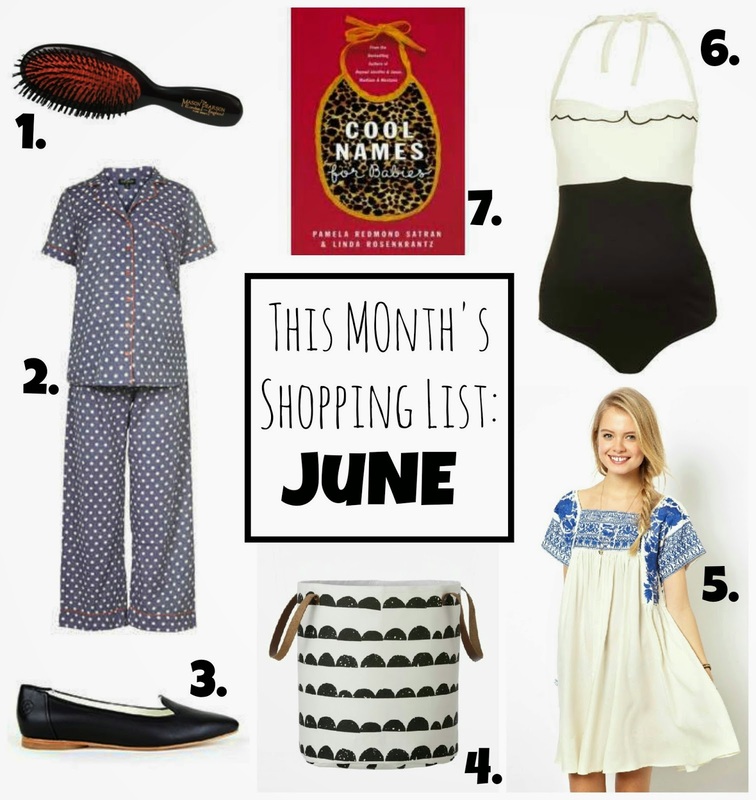 Fancy Napkin: .this month's shopping list: june. this month's shopping list clearly dictates what has been on my mind as of late. rest, a little mama pampering, comfort, summer weather, and the planning stages for the twins room. 1. mason pearson hairbrush || have you heard of this brush? a bit of a luxury splurge, but well worth the dolla bills from what i've heard. and since this month i'm all about pampering myself, why not give the hype a try. i have enough hair to justify it, right?! 2. maternity pajamas || i've actually found it quite hard to find a cute pair of maternity pj's. this pair cures that issue. 3. poppy barley feminine slipper || what's not to love about these flats? classic style. leather. well made. tailored to fit your feet to the exact measurement. and just basically all-around perfect. i have been wanting them forever, and since i feel i deserve a little tlc for brewing twins and running after a toddler, that may just be the perfect excuse to finally bite the bullet for my tired and sore feet. 4. basket || perhaps the perfect laundry hamper for the twins room? could also double as a much needed and stylish toy wrangler. 5. embroidered dress || i am dying over embroidery anything right now and this dress, although not in the maternity section, may actually still fit this growing bump! yay! and it just screams 'summer' to me. 6. maternity bathing suit || is this not the cutest maternity swimsuit you've ever laid eyes on?! 7. cool names for baby book || oh, gosh. we have twins to name! what more can i say? we've been able to narrow down a few names for girls, but the boys have left us completely open, so this book [or your suggestions!!] are very much needed. true story - last month we actually had a couple names narrowed down for boys too, and then by sheer coincidence the exact two names we choose, and damn it - also sounded great together, where snagged by a few close aquantances of mine. we had never spoken of baby names together ever, and their they were in my instagram feed complete with pictures of the two cutest baby boys attached to them. what are the chances?! so as the age-old saying goes 'can you still name your kids the same as a close acquaintance of yours? ', even if you love them so? oh, what to do... needless to say, this book may come in handy. and is much needed. Editors Note: Dress fits extremely large. Order down a size or even two! I enjoy the baggy clothes, but the names elude me. Agh.